Can i hide the Privacy & Terms in Google's reCaptcha? Is there a way to hide the word (Privacy & Terms) ? It is not a big deal but i am curious to know as customer might confuse it with my Privacy & Terms and if the clicked on it will be directed to Google page! 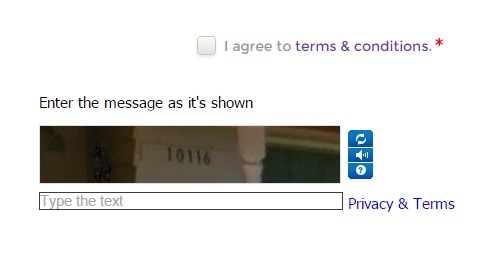 Hi @ahmedaalam, I inspect your form and inject css is the easy way to hide the "Privacy & Terms" link of google captcha. Use the following css codes. Yes indeed, it did work and that is great. On behalf of my colleague, you are very welcome. If you have any additional question or issue, please do not hesitate contacting us. We will be glad to assist.